Arrival Day. Essay by Shastri Sookdeo. October issue. The Write Launch. Indian Arrival Day has been a public holiday in Trinidad and Tobago for more than 20 years now. It was first implemented in 1995 to celebrate 150 years of Indian arrival in Trinidad. The first celebration in 1995 was implemented as Indian Arrival to commemorate this anniversary, but it was intended to be simply Arrival Day in the future, as stated by then Prime Minister Patrick Manning. However, the next Prime Minister, Basdeo Panday (Trinidad’s first Prime Minister of Indian descent) stated that the name of the holiday would remain as Indian Arrival Day. There have been calls for the name to revert back to Arrival Day for some time. In fact, for a long time I believed these calls had been successful and only while writing this article did I realize the holiday is still called Indian Arrival Day. The naming of the holiday to focus on the arrival of the Indians has always been problematic given the tensions between ethnic groups on the island. Furthermore, many people of Indian descent have difficulty celebrating Indian Arrival Day (without any issues with the naming) since they see the day as a reminder of the start of the period of indenture. I have conflicted feelings about Indian Arrival Day. Almost everyone in Trinidad has ancestors who arrived from abroad as the indigenous population is less than 1% of the entire country (although the first public holiday celebrating the First Peoples of Trinidad and Tobago will be this year). Unlike in other countries that celebrate Indian Arrival Day like Guyana and Suriname, Trinidad is a country whose makeup is reflected by colonization at every part of the country. There are no indigenous settlements and no one speaks any of the indigenous languages. Hence, the argument that Indian Arrival Day ignores the arrivals of the many other ethnic groups in Trinidad and Tobago holds some water. This is not to say the Indian community in Trinidad and Tobago should not be recognized. Far from it, as there are many reasons to celebrate the achievements of this group who have made many contributions to Trinidadian society. For me, the main issue is the focus on the arrival. The arrival in Trinidad was the start of a difficult time in a foreign country for the indentured labourers (though staying may have been a difficult time in their native country, which I will write more in the following paragraphs) and does not necessarily seem like the logical date to begin celebration. This year, 2017, is the 100-year anniversary of the abolishment of the indenture system, which could be a more logical date to choose for celebration. However, unlike Emancipation Day, which celebrates the end of slavery, the case of the system of indentured labour is less clear-cut. Slavery was a system that had no agency for the enslaved. They made no decisions about where they went and worked. It would be ridiculous to suggest that the day the first African slave arrived in the Caribbean should be celebrated since it would be almost 150 years afterward that emancipation occurred and countless horrors were exacted upon the slaves in this time. Indentured labourers did have some agency in the sense that they volunteered for work on the plantations of the Caribbean (and also Fiji and Mauritius), but the extent to which they knew what they were volunteering for remains a point of debate. The conditions under which Indians were transported and worked were terrible, though incomparable to slavery. Yet this is the problem with choosing to celebrate arrival. It demands us to ask whether arrival was something to celebrate. It needs us to believe that signing up for indenture was a decision that Indians could have done knowing exactly what they were getting into. This will never be clarified because the records from then are not comprehensive although the oral history from older generations continues to suggest that indenture was not at all what they were expecting. By choosing to celebrate Indian Arrival, we have to ask if arrival of the Indians was a good thing. It certainly was for the history of Trinidad and Tobago. But would those same people have been better off staying in India? The majority of Trinidadians of Indian descent may not agree that remaining in India would have been better. I certainly am glad to have grown up in the Caribbean and not in India. While many Indians have transitioned from poverty to a more secure status of wealth between that time and now, many have remained mired in poverty. I find it difficult to believe that my ancestors and those like them, who chose to take a ship to the other side of the world rather than remain in the only place they had known, were in a position to be able to have worked their way up into a decent life now. I can never know for certain and it remains possible they might have done so, but it seems quite unlikely this would have happened if only for the lack of opportunities in India which helped to make indenture seem like an option. 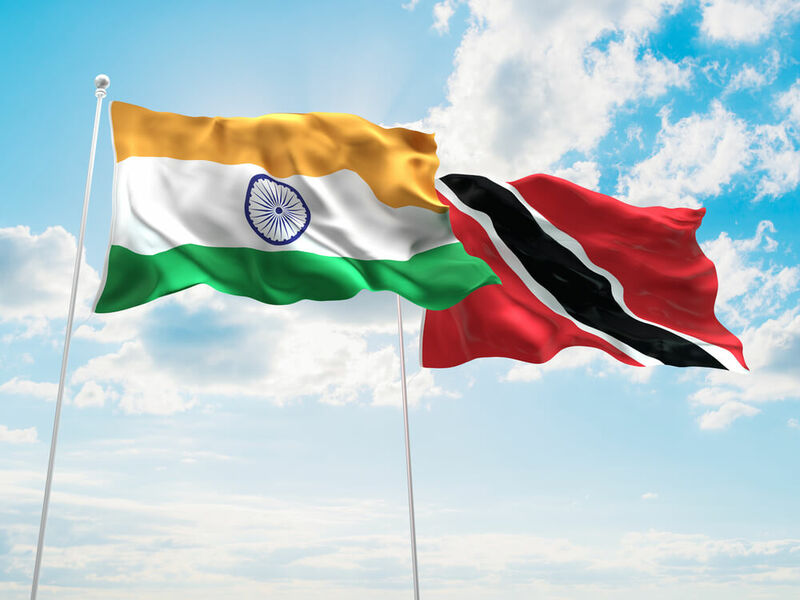 Articles have focused on the problems faced by the Indian community in Trinidad and Guyana and have pointed out issues with diabetes, alcoholism, racism and domestic violence. These issues are present in the community and are certainly linked to the problematic conditions indentured workers found themselves in during their time of indenture. But these problems are not restricted to the Indian community of Trinidad but rather found throughout all ethnicities of the country. Furthermore, diabetes and alcoholism as well as domestic violence are all present at similar levels in poorer communities in India, meaning it is no guarantee staying in India would have exempted anyone from these issues. Racism, however, is manifested in Trinidad and Guyana as a remnant of the colonial past. This is not limited to the former British colonies as Suriname (formerly Dutch Guiana) also has tensions between people of African and Indian descent. In Trinidad, tensions between these two ethnic groups is common but rarely, if ever, descends into outright violence and can be seen most clearly in political affiliation (the main political parties in Trinidad are widely seen as split into a party for the Afro-Trinidadians and one for the Indo-Trinidadians). But racism is not endemic to the Caribbean. In India quite recently there have been attacks on African immigrants in what is clearly outright racist targeting. Anti-Indian racism is not present in India because of the lack of opportunity, but there are still remnants of the British policy of playing people of different religions against each other culminating in the splitting of India itself into Pakistan and Bangladesh. Racism as it exists in Trinidad is a result of the British playing the main ethnic groups of the country against each other so they would not unite against the British themselves. While this would not have happened in India, it is clear there would have been some form of discrimination against the people who would have chosen to migrate. The powerful Shiv Sena party in India has repeatedly stated they do not wish to have immigrants from other parts of India coming to their base city of Mumbai. Their ire has mostly focused on South Indians and people from Bihar and Uttar Pradesh with outright attacks on migrants from these areas occurring. As my family left India from South India as well as Bihar, it seems unlikely a welcoming and discrimination-free life in India might have been in their future had they stayed. It is a waste of time to imagine having stayed because the opportunity to stay was never there. No one would have left India if there were any option to stay. The crossing of the Kala Pani (black water) to the Caribbean meant becoming outcaste and never again being able to return and fully integrate into Indian society. At that time, migration was exile and permanent. It was not a step to be taken lightly or at all if it could be avoided. The promise of land and work may have been the main reason on the face of things, but it is just as likely the choice was never really a choice and to remain meant only to starve. Indian Arrival Day is difficult to celebrate. I have a clear understanding that my family comes from India, but the link is tenuous enough that I do not feel a link to India as a country. I speak no Indian languages and understand little of life in India. Yet there is a link. It is that link to heritage that I believe should be celebrated, more than the celebration of arrival. The naming of the holiday as a celebration of Indian culture, specifically as it is represented in the country, would be a far better way to celebrate the Indian community. By placing emphasis on what the Indian community has done since arriving and the myriad ways Indian culture has taken root and evolved into the Indo-Trinidadian culture would be far more relevant than simply celebrating an arrival. An arrival that would only be followed by years of suffering. I currently live in The Netherlands but have only recently moved from London. I have had pieces of non-fiction published before but have not been published in fiction yet. I have a personal blog (randomnonsenseaboutthings.blogspot.nl) which I have been keeping since 2009 . Read more articles by Shastri Sookdeo. All original work attributed to Shastri Sookdeo © 2017 Shastri Sookdeo.